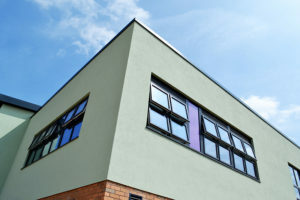 An impressive £4.2 million school project in Derby has highlighted the major advantages that developers can benefit from when working closely with a conscientious systems house. G F Tomlinson is a family-run construction firm that has grown to become one of the Midlands’ most respected and recognised brands in the industry sector. 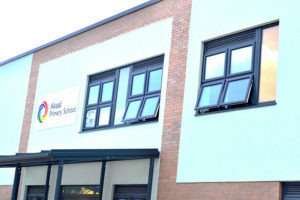 They completed building work on Akaal Primary School, Derby’s first Sikh school, in the summer, which opens its doors to pupils in September 2018. 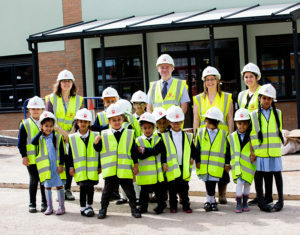 The new building will provide 420 pupil places for children aged four to 11 to meet the educational needs for children in Normanton and surrounding areas. The school is G F Tomlinson’s seventh project to start on site under the ESFA Regional Framework, and with 14 classrooms, SEN provision and a new library area, there’s been many factors to take into consideration – not least of which has been windows. G F Tomlinson’s Supply Chain Manager Terry Milton first met Charlotte Curtis, Liniar’s Business Development Manager, at a Chamber of Commerce event in early 2017 where she extolled the many benefits of the innovative uPVC window system. Terry accepted an invitation to visit Liniar’s showroom and was impressed – not only with the range of products on display, but also with the state-of-the-art 400,000ft² facilities. “We hadn’t been looking for a particular window system,” said Terry. “But we were introduced to Liniar and I have to say that it’s one of the best we’ve used to date. 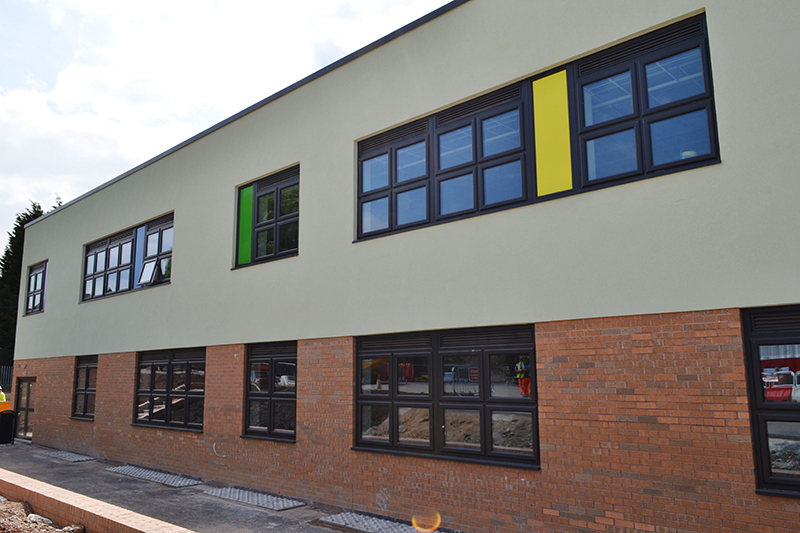 When G F Tomlinson began looking for uPVC windows and doors for the Akaal Primary school project, Liniar Approved Fabricator Alternative Windows was introduced for the venture and meetings were set up at Liniar between Terry and Darren Pratt, Alternative’s Sales Director. “It was of vital importance to us that we chose a fabricator who understood the importance of quality,” said Terry. 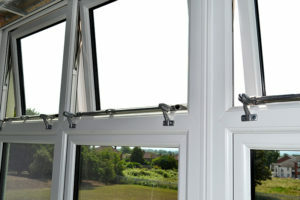 “Alternative were already members of the Liniar Approved Fabricator scheme, helping to confirm that they were a company with appropriate standards. When we met we could see they also had the right attitude. “Being a Liniar Approved fabricator meant that we could be safe in the knowledge that all of Alternative’s products contain only approved Liniar components, such as the correct reinforcement. “Safety is paramount on all our projects and the quality assurances that Liniar’s Approved Fabricator scheme provides supported our prequalification procedure, giving peace of mind not only for us but for our clients. 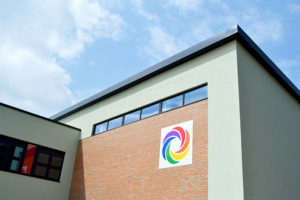 Based in Leeds, Alternative Windows has grown to become one of the largest window and door manufacturers and suppliers in the North of England. Specialising in commercial work, Alternative has built an enviable reputation for its commitment and dedication to ensuring complete customer satisfaction. “The commercial support we receive from Liniar is second to none,” said Darren. “The team helps us to win numerous contracts for projects throughout the UK. They don’t just send us leads, they send us high quality tenders – just like the Akaal Primary School project. “It’s always a pleasure to work alongside Charlotte as she has a genuinely infectious passion for Liniar and translates this superbly to construction firms. Charlotte concluded: “I’m absolutely delighted that we’ve been able to get involved in such a fantastic project. “Any development such as this one can face teething problems, but because of the relationship that we’d built between the three parties, we were able to sit down and discuss any issues face-to-face. This meant that we could find quick solutions that satisfied everyone.